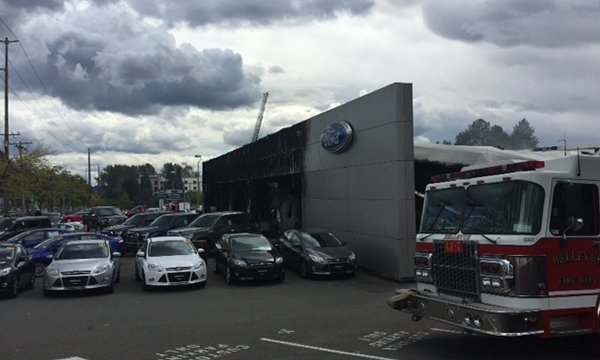 No one was in the dealership at the time of the fire, and no injuries were reported. 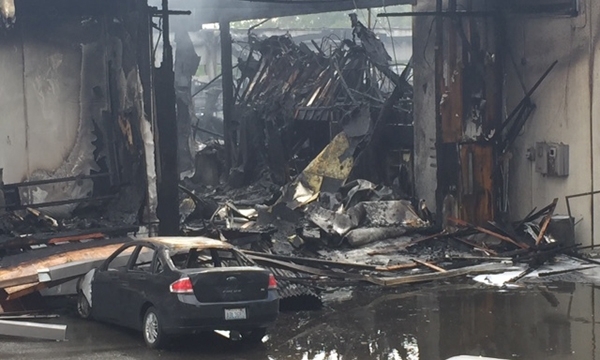 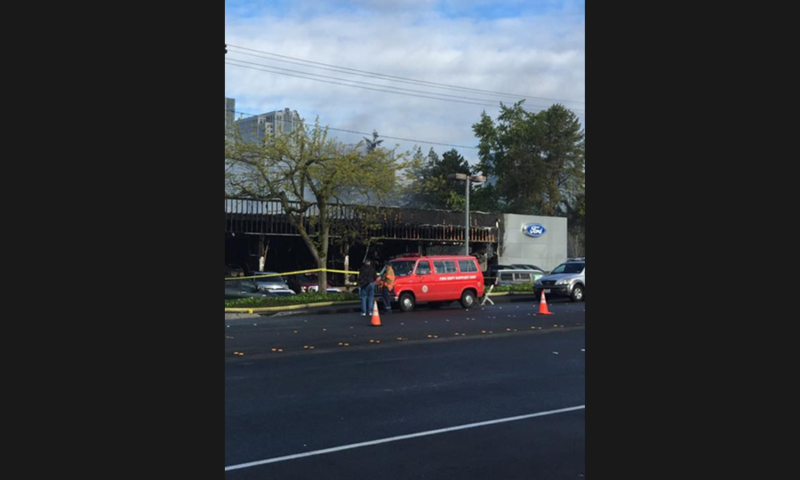 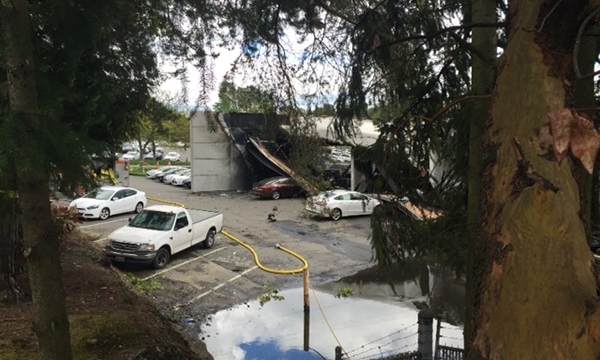 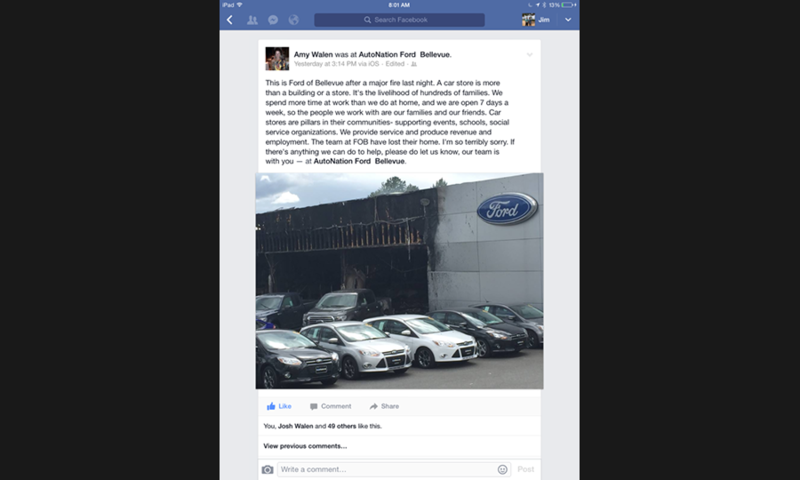 AutoNation Ford Bellevue was still smoldering today after a fire ripped through the dealership Saturday morning. 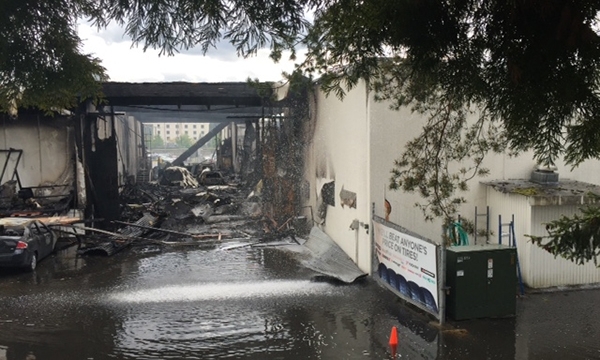 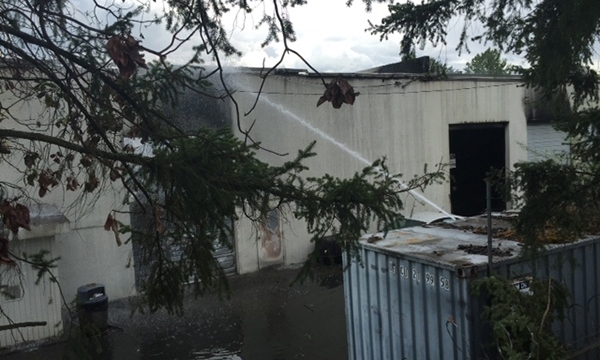 The fire at the Bellevue, Wash., store started at 3 a.m., and another blaze followed five hours later. 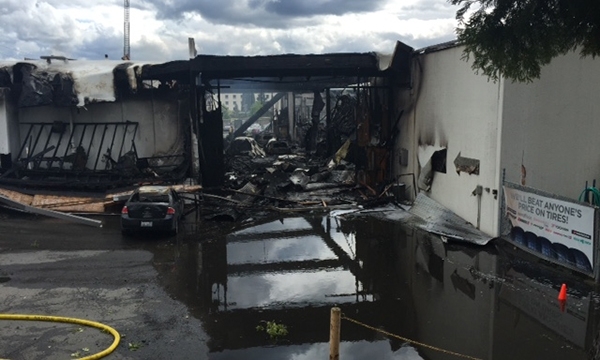 Click through our gallery of the aftermath.